With all that is happening in the world Crimea has taken a bit of a backseat recently. Yes, the US, EU and Canada just added more sanctions on Russia via the odious Magnitsky legislation but this is inconsequential. There’s been a flurry of good news coming out of Crimea and the Black Sea recently that bears discussion. Let’s start with the most important. President Vladimir Putin was in Crimea earlier this week to celebrate the fifth anniversary of the peninsula’s reunification with Russia. There he also officially inaugurated two major upgrades to Crimea’s power grid. Located in Simferopol and Sevastopol, two new power plants will produce 940 megawatts and secure Crimea’s energy needs for now and into the future. 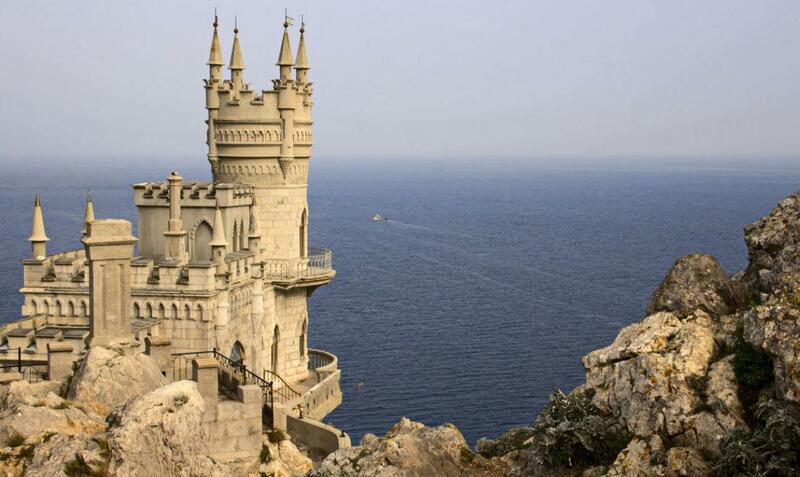 Power has been Crimea’s Achilles’ heel since breaking off from Ukraine in 2014. It received almost 90% of its power from the mainland. In November 2015, the trunk lines into Crimea were sabotaged by Ukrainian nationalist radicals, encouraged by President Petro Poroshenko plunging it into darkness as winter took hold. Does this sound familiar? A place that defies US edicts geopolitically is first hit with a full trade embargo, sanctions and threatened militarily by proxies before having its electricity shut off? And there are reports that the US has game-planned a similar fate for Iran as well. For Crimea it was easy because of the single-point-of-failure, the trunks from the mainland. For Venezuela it was as well, with the Guri dam, which affected nearly 70 percent of the country. So, Putin timing the fifth anniversary of reunification with the announcement of the plants moving to full operational status was yet another smooth bit of international political maneuvering. A not-so-subtle poke in the eye of the Gang Who Can’t Sanction Straight in D.C. as well as lame duck Poroshenko. Elections are at the end of the month and this celebration by Russia and Crimea will not sit well with many Ukrainians, especially the diaspora here in the US which is virulently anti-Putin in my experience. Secure and stable power generation is a hallmark of a first world territory. Without that economic growth and stability are impossible. This is why to first help stabilize the situation in Crimea after the blackout Russia brought in 400 MW of power across the Kerch Strait from Krasnodor. Tying Crimea to the mainland via the Kerch Strait bridge was a masterstroke by Putin. The initial power lines were simply a necessity. For those that complain he isn’t doing enough to counter US and European aggression need only look at the Kerch Strait bridge. Not only did the Russians not seek international approval given the nearly universal refusal to recognize Crimea as Russian they built the thing in a time frame that defies description. Imagine if this had been an EU project. They would still be debating the initial engineering plans and the political effects on some protected minority. Not only does it open up the Eastern Black Sea to trade via Crimea but it ends the use of the Sea of Azov as a potential staging ground for naval provocations as last fall’s incident proved. Ukraine is cut off from acting aggressively and cannot count on any help from the US and Europe. Moreover, Crimea is now permanently Russia’s. And every bit of infrastructure Russia builds there ties the two further together and weakens any bonds Crimea had with Ukraine. The resultant growth and modernization will make its way, economically and culturally back into southern Ukraine and erode the hard border over time. This is far more important than striking out and metaphorically punching Poroshenko in the mouth, that many of Putin’s detractors wish for. To remind everyone just how insane the Trump White House has become on matters international, no less than Vice President Mike Pence lobbied Germany to provoke another naval incident at the Kerch Strait. This coming after the US unilaterally pulled out of the INF treaty and is now flying nuclear bombers to eastern Europe. The message is clear. If the EU doesn’t get with this open-ended belligerent program against Russia and China of John Bolton’s they will be the ones paying the price when chaos breaks out. On the other side there is Putin; building bridges, pipelines, power plants and roads. He’s making it clear what the future holds not only for Europe but the Middle East, central Asia and India. We will defend Crimea at all costs, develop it not only into a tourist destination but also a major trade hub as well. You are more than welcome to join us. But, we don’t need you. These power plants will raise Crimea’s power output well beyond its current needs, allowing first export of power as well as providing the foundation for future growth. And as if it weren’t coordinated in any way, the Chinese, on the morning of Putin’s speech, announced that Crimea would be an excellent fit for investment projects attached to the Belt and Road Initiative (BRI). That’s according to the head of the association of Chinese compatriots on the peninsula, Ge Zhili. “Our organization is bolstering cooperation ties, exchanges and friendly contacts with the Crimean society,” he said at an event dedicated to the fifth anniversary of Crimea’s reunification with Russia, which was held in the Russian Embassy in Beijing on Monday. Again this is a direct challenge to the US who has Crimea under strict sanctions in the West. China is happy now to move forward with integrating Crimea into its plans. It’s just another example of how Russia and China simply ignore Trump’s fulminations and move on. I can’t wait until I get to write this article all over again, this time about North Korea, now that Bolton has thrown Russian and Chinese assistance in getting North Korea to the negotiating table back in their face by destroying the Hanoi talks. This announcement is not to be underestimated given that Chinese Premier Xi Jinping is in Rome this week to open up relations with the new Italian government. Five Star Movement’s Leader Luigi Di Maio said he would welcome becoming a part of BRI, much to the consternation of Trump, German Chancellor Angela Merkel as well as his coalition partner Lega Leader Matteo Salvini. It’s already well known that Salvini is interested in ending sanctions on Crimea and re-opening trade with Russia. Italy is desperate for new markets and opportunities, currently stifled under the euro itself as well as Germany’s insistence on austerity hollowing out Italy’s economy and its future prospects. These issues as well as energy security ones are coming to a head this year with Brexit, the European Parliamentary elections in May and the completion of the Nordstream 2 pipeline later this year. As Putin continues to polish his Black Sea jewel, Europe has to decide if it is going to continue playing the U.S’s games over Ukraine or begin the next phase of its independence. Salvini will lead a Euroskeptic revolt within the European Parliament in May. It may be big enough to finally defy Merkel and end EU sanctions on Russia over Crimea. At that point the US will also have a choice, burn down the world economy with even more sanctions, tariffs and acts of war or accept the facts on the ground.